See the house where President Lincoln died and learn about the people who gathered around him that fateful night. 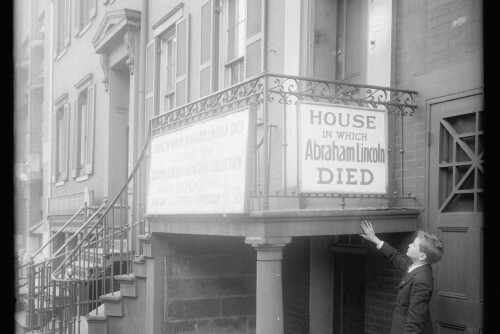 On April 14, 1865, after John Wilkes Booth shot President Lincoln, Lincoln was carried out of the theatre and into a boarding house across the street. The celebratory night quickly turned into an overnight vigil as people gathered outside the house. 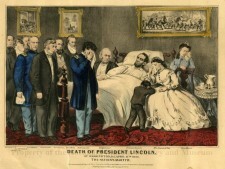 The doctor at Lincoln's bedside updated the crowd each hour on the president's condition. His final update came at 7:22 a.m. on April 15, 1865: the president had died. During the president’s final hours, he was surrounded by his wife, Mary, and various U.S. government officials. Secretary of War Edwin Stanton turned one of the rooms into an interrogation area, interviewing witnesses about what happened inside the theatre. 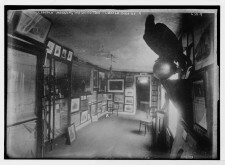 The Petersen House is self-guided. A visit takes ~20 minutes. From March-July, lines are long but move quickly. The Petersen House is included in a Historic Site ticket. Discover the history of the Petersen House from 1849 to today. Known as the house where Lincoln died, the Petersen House changed from a family home into a museum and is now a historic site. Tips to help you plan your visit. Ford’s Theatre and the Timelooper App present Voices of Petersen House, a free virtual reality time travel experience. 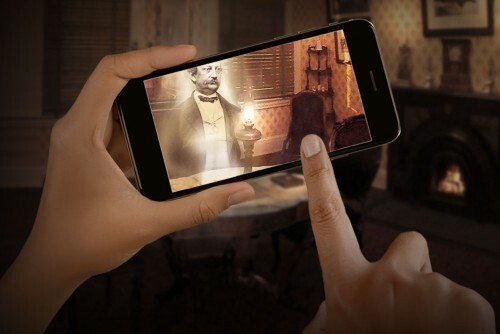 The experience includes interactive photographs taken inside the Petersen House and first-person accounts of the men and women who witnessed Abraham Lincoln’s final hours. Download on the Apple App Store or on Google Play.